Prototype: German Federal Railroad (DB) type Sa 705 heavy-duty flat car. Use: Transport of heavy freight and vehicles. 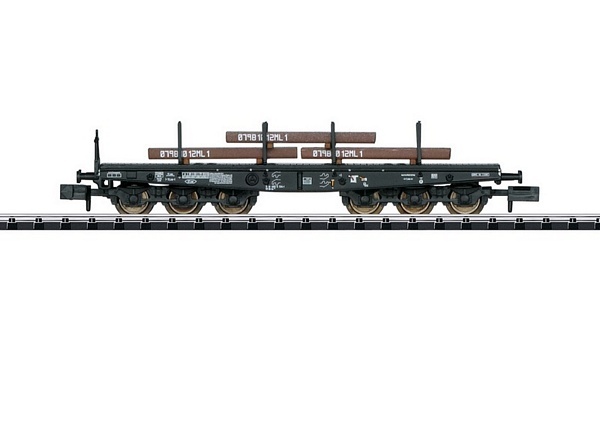 Model: The car is loaded with 3 reproductions of steel slabs with a realistic appearance. Stakes are included that can be installed on the car. The frame is constructed of die-cast metal. The car has NEM coupler pockets and a close coupler mechanism. Length over the buffers 84 mm / 3-5/16".